I ran out of spooky inspiration for a couple of days, but now I got my second wind and I'm ready for more MoFo and Halloweegan! 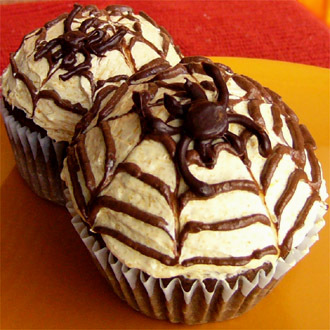 Spider cupcakes, anyone? I used this recipe for the chocolate cupcakes, and a wing-it pumpkin buttercream frosting. The frosting had a very mild and pleasant flavor, but feel free to increase the amount of pumpkin if you want a stronger flavor. 1- Cream the Earth Balance with an electric mixer until light and fluffy. 2- Mix in the pumpkin puree, maple syrup, and vanilla. Keep mixing for a minute or two or until smooth and creamy. This is enough frosting for 12 cupcakes. 1- Pour the melted chocolate chips into a pastry bag, and draw a small chocolate circle at the very top of the cupcake. Repeat with three or four more circles from top to bottom. Work quickly so the chocolate doesn't harden before you move on to the next step! 2- Take a toothpick and run it from the top to the bottom of the frosting to create the spiderweb effect. Repeat 6 times around the cupcake. The spider recipe is coming tomorrow because I'll making more spider treats then. Please note the veggie "bugers". *Dunce*. There are also tortillas, pitas, whole wheat buns, and hamburger buns in the back. (Update: the Morning Star Farms crumbles are no longer vegan!) We have fruits and veggies on the door. That's chopped celery in the ziploc bag below. We can't eat celery fast enough before it starts getting funky, so I just chop it up and freeze it for later. There ya have it. Off to read all your MoFo-ings now! Love the cupcakes! And great tip about freezing the chopped spinach... I can never use a bag fast enough! These look great! I'm crazy for the chocolate pumpkin combo. I really need to use one of your ideas to have one lonely halloween post. Cant wait to see tomorrows spiders. So impressive! Really, you could bake professionally. Those cupcakes are just brilliant! And I'm sure they taste so good - chocolate and pumpkin is such a great combination. How do you keep coming up with this stuff? Ever since I saw it, I wanted to try making a cobweb like you did now, with a toothpick... Maybe now I'll be brave enough this Halloween! 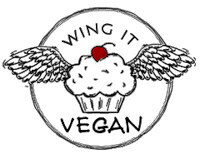 I just love what you're doing for Vegan MoFo this year - the cupcakes look awesome! My daughters entire halloween lunchbox will be comprised of your recipes - so cool! I hate spiders but these cupcakes are adorable! I love the idea of a pumpkin frosting too, so yummy! If you have some time pls visit me on my new blog =D I'll be SO happy!! Woah, those are WAY cuter tha any cupcakes I've ever made. I can't get over the little webs! those cupcakes look delectable. i've been craving pumpkin all day and have no canned pumpkin in the house! I love your idea for pumpkin buttercream. And your cupcakes look cute! oooh nice decorations! the frosting sounds divine!! Your feezer looks pretty organized! Spider cupcakes? 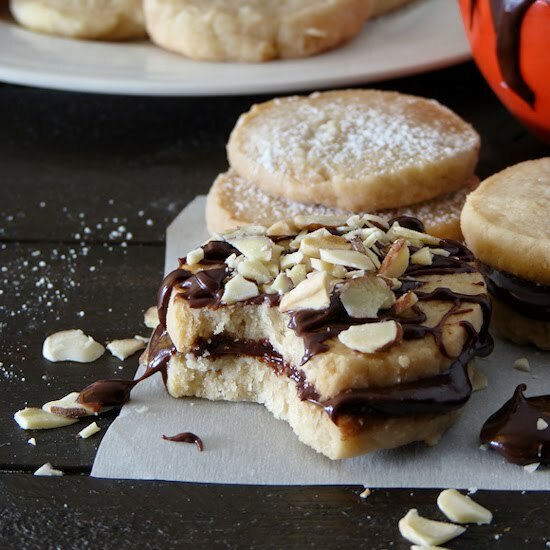 I need to find some kids and invite them over to have a hallovegan party! Ohhh these are just wonderful. they're begging me to take a bite out of them. Pumpkin buttercream frosting?! Holy MoFo!! Must. Make. NOW. i just love your cuppies! the spiders are just too adorable! yum!!! i love pumpkin + chocolate together. i can't wait to make the pumkpkin buttercream! love the spiders, the cupcakes, the freezer pics, all of it! ...and thanks for the celery tip, never thought of freezing it! Your freezer is ridiculously organized. I don't meant that it is organized ridiculously, just that it is so freaking neat and clean! You rock. 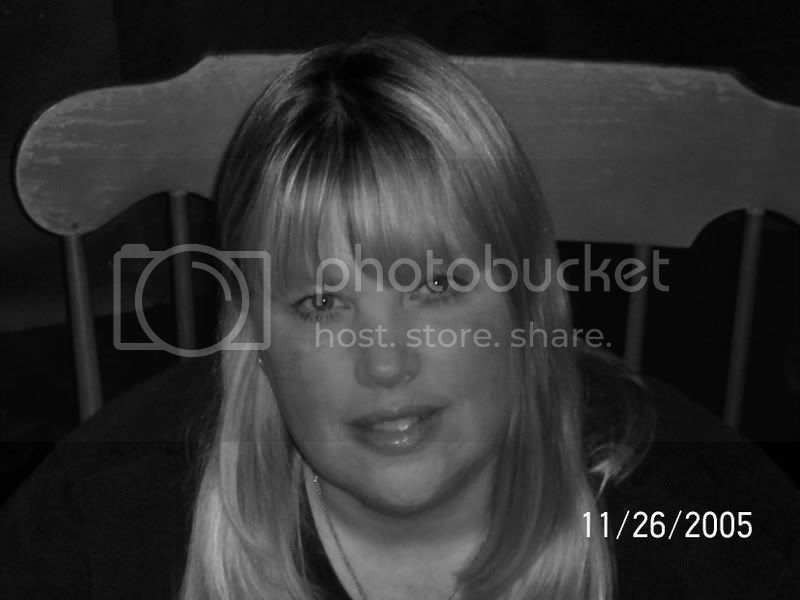 I love pumpkinniny things. The frosting on these cupcakes would hit the spot! I love a spider cupcake. that web technique is my fave. Gonna have to give the pumpkin frosting a try for my pumpkin-crazed kiddos.